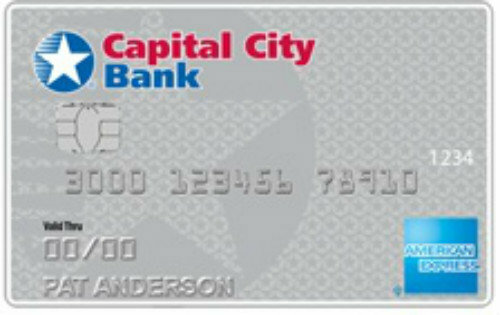 There is no annual fee of Capital City Bank Cash Rewards American Express Card. There are good amount of cash backs for purchases in certain categories. You are going to gain 3% with gas and 2% with Supermarket. There is unlimited cash back except gas. Please see cons. You are going to earn $25 bonus after your first purchase regardless how much you spent. This can be a good opportunity for you if you are spending much at supermarkets. Zero liability protection is available for this credit product. Limited 3% gas cash back. You can earn $180 maximum in a year. This renews at every year. Sign-up bonus could be better. You can face with high APRs after 6 months later. It depends on your creditworthiness. 25.99% Cash Advance APR is high. Extra 2% payment for foreign transactions. 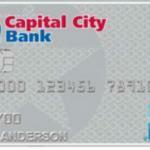 Capital City Bank Cash Rewards American Express Card is providing many benefits for you as a cash back credit card. You can earn 3% cash back for your each gas purchases with the card. You will also get 2% for supermarket, 1% for the rest of purchases. However you will earn 3% percent cash back with $6000 purchase annual limit. It means you can earn $180 cash back yearly from your gas purchases. Rest of cash back rewards are unlimited. Consumers can also earn $25 worth cash back after you make the first purchase with your card. You will need to redeem your cash backs in 5 years. You will not pay APR for the first 6 months after you get the card. Then the regular APR is going to be between 15.99% – 24.99%. There is also no annual fee for this card. You can read some users reviews of Capital City Bank Cash Rewards American Express Card below. I am not citizen of United States but I want to have this card? I can use it at abroad? Hello there is any limit of cashback of the card?